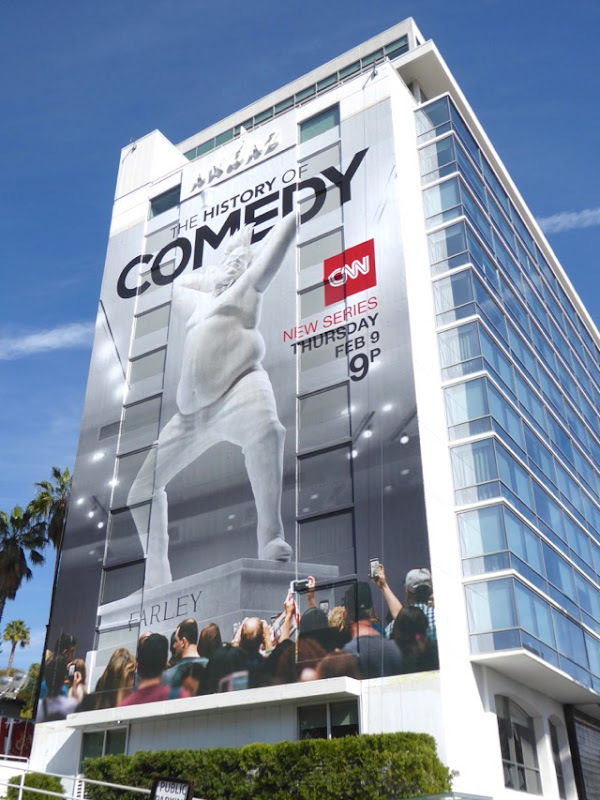 Did anyone else do a double take when they saw this giant billboard for CNN's The History of Comedy, and think it was Donald Trump being parodied (well his presidency is becoming a bit of a joke around the world), rather than comedy legend Chris Farley? 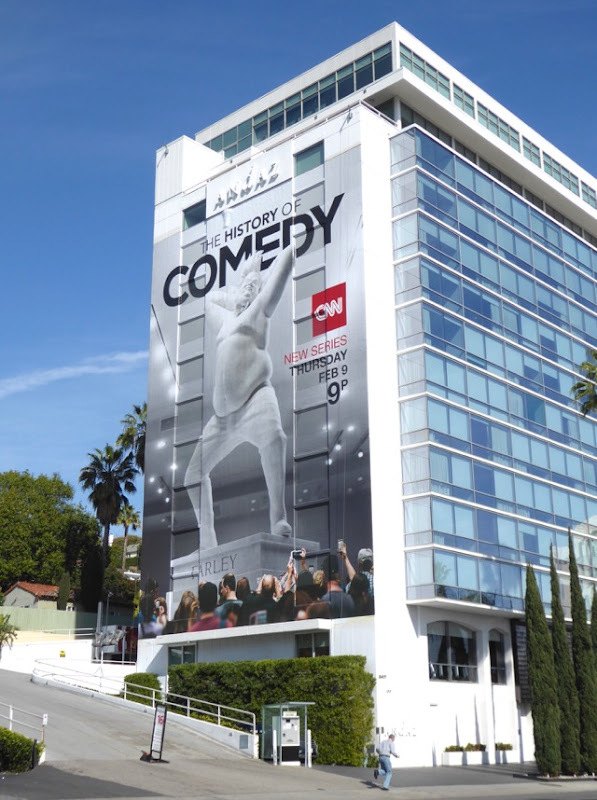 This new original docu-series explores what makes us laugh and why, and how comedy and iconic comedians like Robin Williams, Lucille Ball, Eddie Murphy, Joan Rivers, Mel Brooks, Steve Martin, Richard Pryor and more, have influenced America's social and political landscape throughout history. 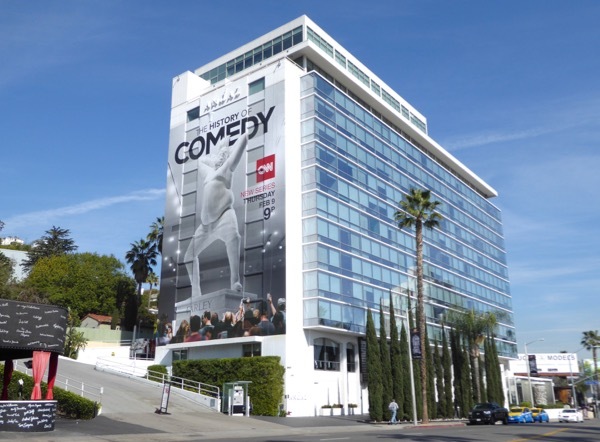 This head-turning super-sized billboard was snapped on the side of West Hollywood's Andaz Hotel along the Sunset Strip on February 1, 2017. 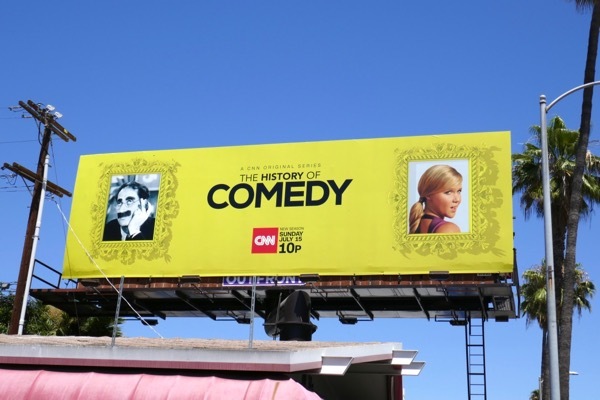 Plus for more funny lessons from history, make sure you also enjoy these Drunk History TV series billboards. Let's hope we can keep laughing in the months to come. 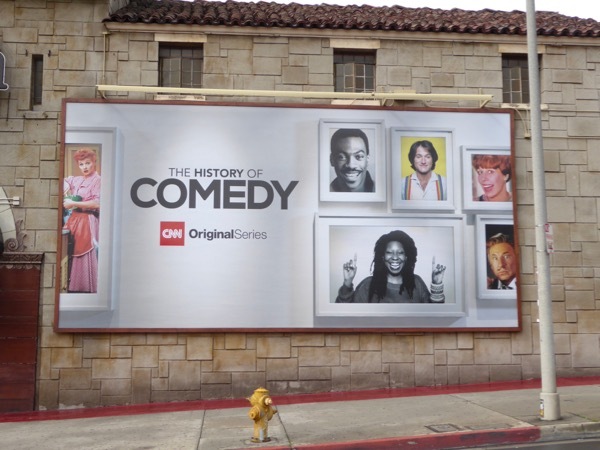 UPDATED: Here's a smaller different ad creative for the CNN series, showcasing more comedy icons, snapped on the side of Sunset Boulevard's infamous Laugh Factory comedy club on February 19, 2017. 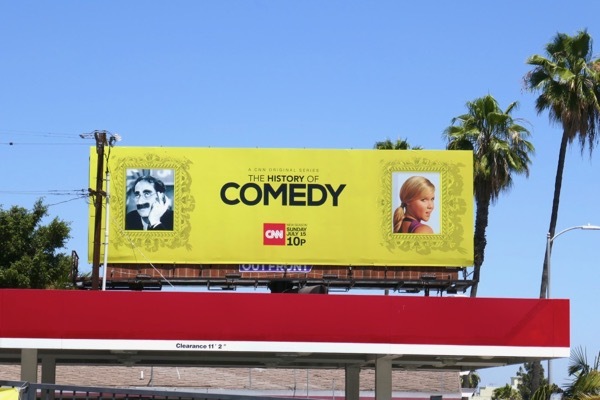 UPDATED: The History of Comedy is back for a sophomore season with this vibrant yellow billboard and by the looks of things covering everything from Groucho Marx to Amy Schumer. 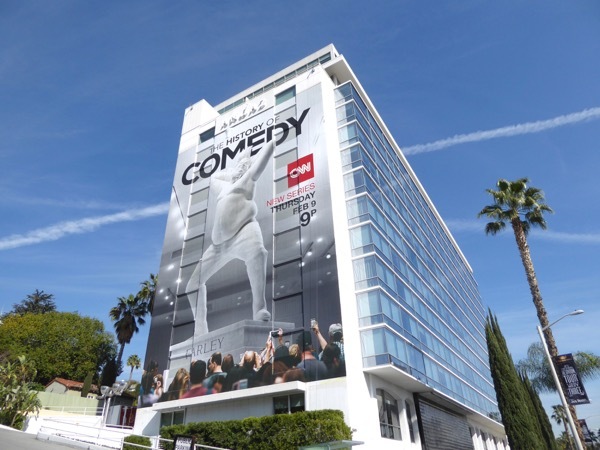 This billboard was snapped near the Laugh Factory along Sunset Boulevard on July 2, 2018, which is clever ad buying, especially as the first season's giant billboard was next to the The Comedy Store along the Sunset Strip too.